Found in Effects ► Render. As the name says, it draws some guiding lines. I think it's too simple to need a description. That's got to be the briefest intro to a new plugin ever! What does it do? How do I use it? UI screenshot? 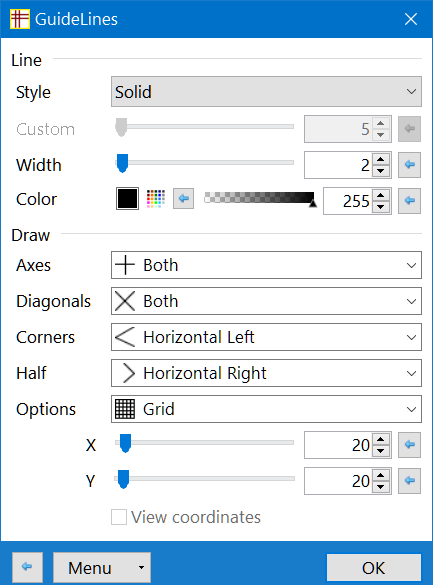 This isn't obvious but the "options" field allows drawing grids, which means it can replace another plugin I use on top of its nominal purpose! And that's just what I plan to do. Thanks! Thanks for this plugin! Just what I needed!